The Subaru Forester tS is, at the moment, only going to be available for the Japanese Domestic Market but it’s such a good idea I’m hoping to see a few either imported either sold in Europe. If you’re wondering why I’m so interested in the Subaru Forester TS version it’s because of how they created it. The Japanese took the Subaru Forester platform, body and pretty much most of the Subaru Forester S-Edition and added a bit of fun to it. By fun I mean they added lots of parts from the infamous Subaru Impreza STi. The additions are a modified suspension which lowers the car by 15 mm, a set of 17 inch special alloy wheels, a new front spoiler and the tS logos that show people what you’re driving. The engine isn’t the same as you’d find in an Impreza but it’s close enough. 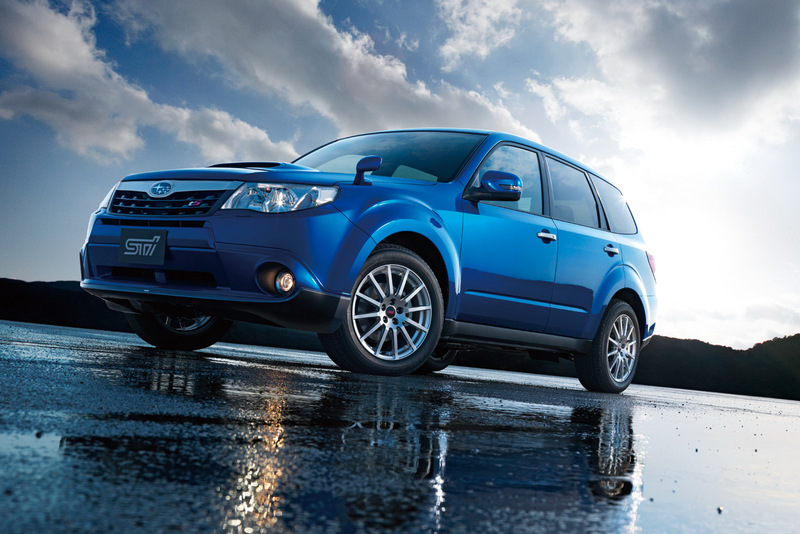 The Subaru Forester tS is powered by a 2.5 liter boxer engine that is force fed by a turbocharger. The engine sends around 260 horsepower to the AWD system via a five speed automatic gearbox. For the moment, Subaru announced that they will be making no more than 300 units of the Forester tS and that all of which are going to be JDM territory only. The price you’d have to dish out for one of these is the equivalent of around 30.000-31.000 euros.